Some years ago Tom Powers, an American publisher who is also a writer and historian, kindly told me I ought to write a book about my fifty years in publishing. 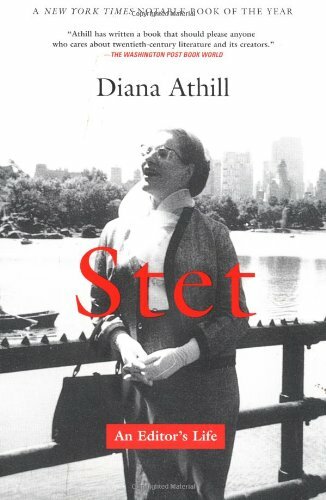 Stet: An Editor's Life by Diana Athill. This is my book club's pick for November. Acclaimed editor Diana Athill, who turned 100 last December, offers a behind the scenes look at literary life.